With the kids. for the kids. Yacht Blast for Kids was founded in 2009 with the intent to provide Make-A-Wish® children, along with their families, an opportunity to spend an afternoon in Milwaukee’s harbor aboard a yacht. Today, Yacht Blast for Kids has granted more than 186 wishes through generous donations of time and talent from southeastern Wisconsin. yacht blast for kids 2018, september 16, 2018! Join us on Sunday September 16, 2018 to watch the Green Bay Packers versus the Minnesota Vikings. The Milwaukee Yacht Club will open its doors to this event at 11:30am. Lunch will be served from 11:30am-1:30pm. There will be a large screen TV broadcasting the game, Packer pools, 50/50 raffles, auctions, bounce houses, face painting and more! What better way to celebrate the Packers than making wishes come true for children living with critical illnesses. 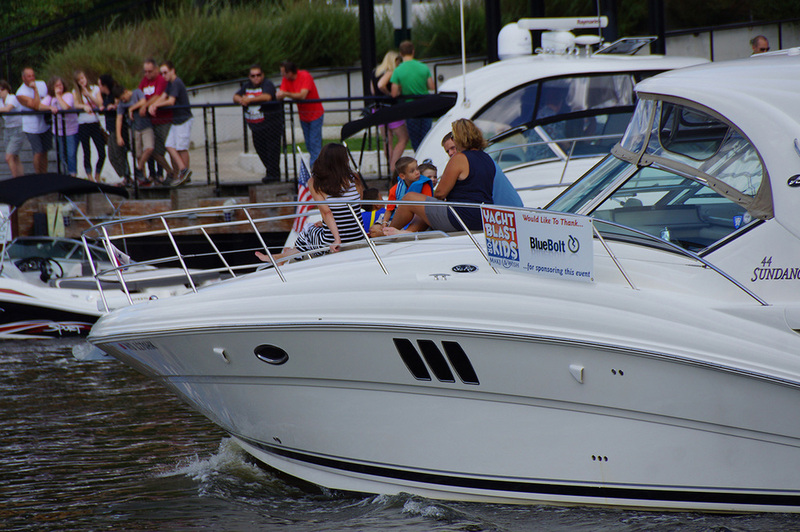 Yacht Blast for Kids was founded in 2009 after a Milwaukee businessman was boating in Florida. There, he met a child and his family who were receiving a wish from the Make-A-Wish® Foundation. After speaking with the boy - whose eyes lit up when he saw his boat - the businessman was inspired to provide children who were battling life-threatening medical conditions and their families the chance to spend a fun-filled afternoon on the water. Patti Gorsky, president & CEO of Make-A-Wish® Wisconsin. "Yacht Blast For Kids serves two purposes. The first is to enrich the lives of Wish kids and their families the day of the event through providing a fun filled day aboard a Yacht on Lake Michigan, a small but meaningful reprieve from the hospital and doctors' offices. The second is a fun-filled afternoon for the public to join us in raising money so these children, and others like them with life-threatening illnesses, may see their personal wishes come true." Glenn Kennedy, founder of Yacht Blast for Kids. Our event would not be possible without the generous support of sponsors who donate their money, boats and time to lift the spirits of children and their families. Your sponsorship goes far beyond your name or your logo on a sign or social media. Any contribution that goes to the event, whether that’s a monetary donation, or a contribution to one of our auctions, goes directly toward granting wishes. 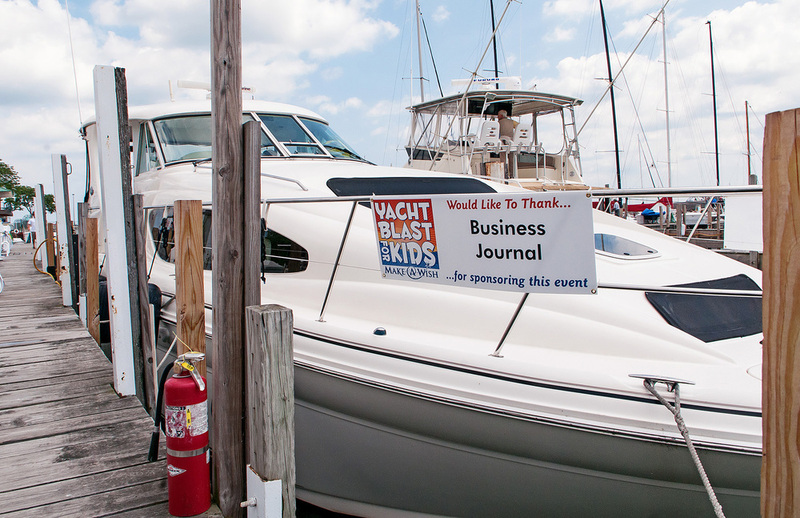 Become a part of the sponsorship network helping Yacht Blast for Kids benefiting Make-A-Wish® of Wisconsin. Corporate and individual sponsorship packages are available and can be tailored to best fit your organization. Contact Corporate Sponsorship Chair Person Craig Faust 262-894-2777.